On Thanksgiving, many of your favorite stores are offering special coupons frugal shoppers can turn into free items, early customers have first dibs on items free after rebate. Check them out! 🦃 Belk: First 200 customers on Thankgiving - when doors at 4 p.m. - get a mystery gift card worth $5 to $500. There will be a similar giveaway on Black Friday morning. 🦃 Cumberland Farms: FREE cup of coffee, hot or iced, from midnight to 11:59 p.m. Thanksgiving at the convenience store chain's nearly 600 locations. 🦃 CVS: TEN freebies after ExtraBucks Rewards in its three-day Black Friday sale from Thanksgiving through Saturday. Deals include free gum, a roll of paper towel, a box of store brand ibuprofen or acetaminophen, and a free 23andMe genetic DNA starter kit. (Pay $29.99 and get $29.99 in ExtraBucks Rewards) CVS loyalty card needed to get the deals - each are limit one per household. 🦃 Gordmans: First 50 shoppers in line when stores open 5 p.m. Thanksgiving day get a scratch-off card worth $5, $50 or $100. First 100 get entered in a raffle for a chance to win a 4-foot Gordy teddy bear. 🦃 J.C. Penney: First customers at the department store, which opens 2 p.m. Thanksgiving, receive a mystery coupon. The majority will be $10 off $10, but there will be a few $100 off $100, and one $500 off $500 coupon per store. Some exclusions apply. 🦃 Kmart: Offering cash-back savings for members of the free Shop Your Way loyalty program. Members will get $50 CASHBACK in Points on purchases of $50 or more in store. If they spend $250 or more in store or online Thursday to Sunday, they are qualified to receive $250 CASHBACK in Points. Members can earn FREECASH in Points by texting the words GRAVY and TURKEY to 73277. 🦃 Macy's: In-store only, 12 items will be free after mail-in rebates, including: select tote bags, men's Gold Toe Slippers, glassware sets and Lauren Ralph Lauren Logo pillows. These deals and other in-store doorbusters will be available 5 p.m. Thanksgiving to 2 a.m. Friday, 6 a.m. to 1 p.m. Friday, and 8 a.m. to 1 p.m. Saturday. 🦃 Office Depot/OfficeMax: Now through 11:59 p.m. ET Saturday or while supplies last, store loyalty members can get free select packs of Duracell Coppertop Alkaline Batteries for free after rewards. Rewards are limited to two per member, offer available in-store, online, phone and fax. Stores are closed Thanksgiving Day. 🦃 Sears: Like Kmart, Sears is offering cash-back savings for Shop Your Way members, who will get $50 CASHBACK in Points on purchases of $50 or more in store. If they spend $250 or more in store or online Thursday to Sunday, they are qualified to receive $250 CASHBACK in Points. Members can earn FREECASH in Points by texting the words GRAVY and TURKEY to 73277. 🦃 Shopko: First 100 shoppers 2 p.m. Thanksgiving get $25 in savings, including a $10 bonus home and clothing purchase coupon, valid Saturday, and a $15 bonus card, valid Dec. 1-24 for home and clothing purchases. At Shopko Hometown stores, the first 50 shoppers will get the bonus. 🦃 Stage Stores: First 75 people when stores open 1 p.m. Thanksgiving get special coupons or gift cards at Bealls, Goody's, Palais Royal, Peebles and Stage stores. Most will get $10 coupons, but there's also a chance to win a $50 or $200 gift card. There's a different deal for early Friday shoppers. 🦃 Walmart: Before the retailer's in-store Black Friday sale starts 6 p.m. Thanksgiving, stores will hold Light Up Black Friday parties from 4 to 6 p.m. featuring free coffee and cookies. 🦃 Wendy's: Through Black Friday, get a free Junior Bacon Cheeseburger with any purchase and the fast-food chain's smartphone app. The offer resets daily. 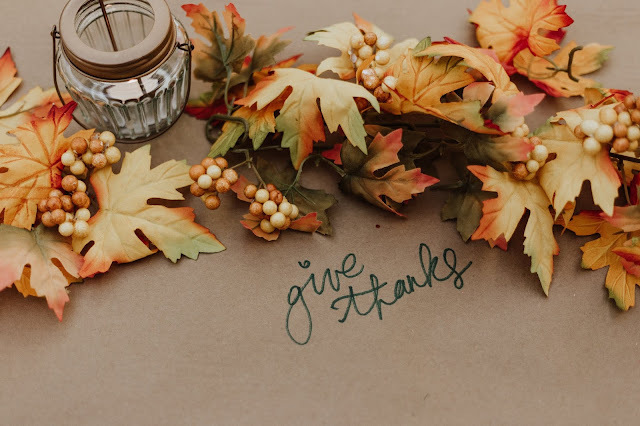 For Thanksgiving there are all sorts of freebies, printables, activities, ebooks, and crafts, and so much more! 🦃 Celebrate Thanksgiving with your favorite SiriusXM channels! 🦃 Thanksgiving Crafts and Activities for Kids! 🦃 Free printables for Thanksgiving, including bulletin board ideas, craft pages, and clip art! 🦃 Our 5 Best Thanksgiving Printables to Gobble Up!